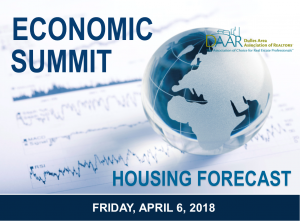 Over 150 members and guests attended DAAR’s Economic Summit: What’s in Store for Housing and Beyond on Friday, April 6th, 8-11AM at Loudoun County School Administration Building, 21000 Education Court, Ashburn, VA. 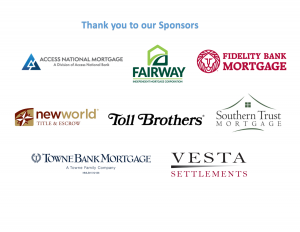 The event offered an opportunity for REALTORS® in the Northern Virginia and Loudoun County area to understand housing and economic trends and forecast for 2018 and beyond. Dr. Terry Clower, Director, George Mason University Center for Regional Analysis, who discussed current residential and commercial market trends in Loudoun County and Northern Virginia. Click here for the presentation. Mrs. Colleen Kardasz, Assistant Director, Loudoun County Economic Development, who discussed projected economic development and growth in Loudoun County with an eye on Metrorail, data centers and key industry target areas. Click here for the presentation. Click here for the presentation.